The TransCanada Hwy #1 follows the route of the Canadian Pacific Railway through four of Canada's pristine national parks, in the northern part of the region, connecting Calgary with Vancouver and the coast. 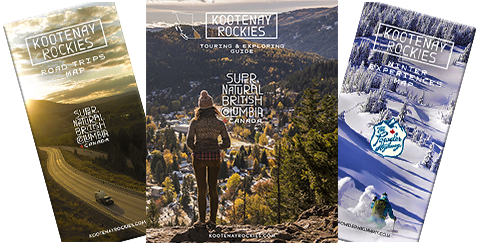 A less travelled southern route, Highway #3, serves travellers from southern Alberta, the southern Okanagan Valley and Vancouver. Ports of entry on the Canada / US border allow access from Spokane, Washington; Coeur d'Alene, Idaho; Kalispell, Montana and points south.